With the vast and extensive experience in packaging industry along with well-equipped machinery, we, as flexible packaging materials manufacturer, supply an exclusive range of eco-friendly packaging material that is superior in quality, high durability, truly reliable, satisfying and fulfilling the demands of the client and appealing which tends your customer to pick your product. 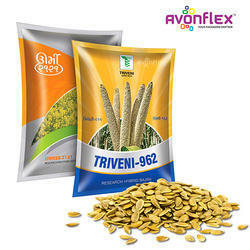 With the help of modernized, advanced and innovative techniques of production and being creative, Avonflex designs, manufacture, and supplies a wide variety of agro packaging products like Packaging material for seeds for packing of fruits seeds, crop seeds, vegetable seeds, herbal seeds, oil seeds, flower seeds etc., and laminated pouches for pesticides maintaining the originality, odour of chemicals packed in these pouches, in various shapes and sizes as per the requirement of the client. Apart from supplying FFS Rolls, we even manufacture trendy pouches; these pouches are in different shapes such as 3 side seal pouch, stand up pouch, Side Gusset pouches, spout pouch, zipper pouches, and many more innovative pouches to serve your customized requirement keeping in mind factors like logistics, pricing and perishability for longer shelf life. To maintain the qualities of various seeds, it is essential to pack them properly and safely. 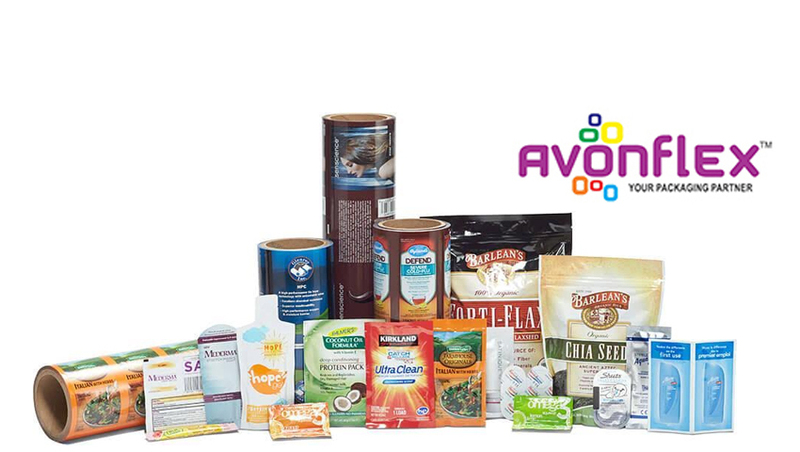 The variety of seed packaging material offered by Avonflex can be used for packing diverse range of seeds allowing qualitative packaging support as per the specific demands of the customers. Here, our expertise lies in successfully coming up with variety of packaging support not only for seeds but also for agrochemical based production units. Making packaging support available in see through and glossy finish can be made available in different volume/weight carrying options. Easy-to-handle and carry packaging support can be designed & developed as per exact specifications of the customers. - We supply in Roll form as per FFS Machine Requirement like Multi Track Job Single Track Job. 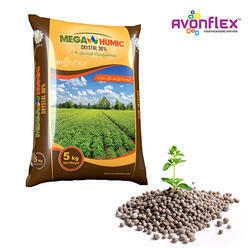 Fertilizers are used to enhance the crops growth. These fertilizers may be hazardous sometimes. So, the package should protect the product till it is opened by the customer. 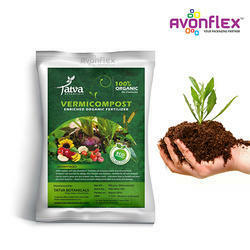 Fertilizer & Chemical Bags offered by Avonflex are Multicolour Laminated Printed Bags that have durable finish quality, thus making them perfect for packaging of fertilizers and chemicals. We can make these available in multi-color as well as printed & laminated. Further, these can also be made available with zippers and handle features as demanded by the customers. The bags can also be provided in various configurations. Pesticides are extremely reactive and poisonous by nature and thus, their proper packaging is of utmost importance by improving sealing and handling issues to avoid any malfunctioning. Pouches manufactured by Avonflex comply with the rigorous international quality standards and keep the chemical substance and other ingredients in their original form. Our packaging team possesses the advanced machinery and expertise in understanding & implementing effective packaging solutions for different pesticides. These airtight packaging pouches protect the pesticides from varied factors like dampness, rain, extreme weather etc. These pouches are offered by us in countless chic and charming designs prevailing in the market.